"I removed the valves and was surprised to find their stems to be double diameter - 3/8” near the head and 5/16” for about 3/4 of the stem length. Interestingly the worn exhaust valve guide had been sleeved with a bronze sleeve sometime in the '20s or '30s, many years before bronze valve guide sleeves were invented! 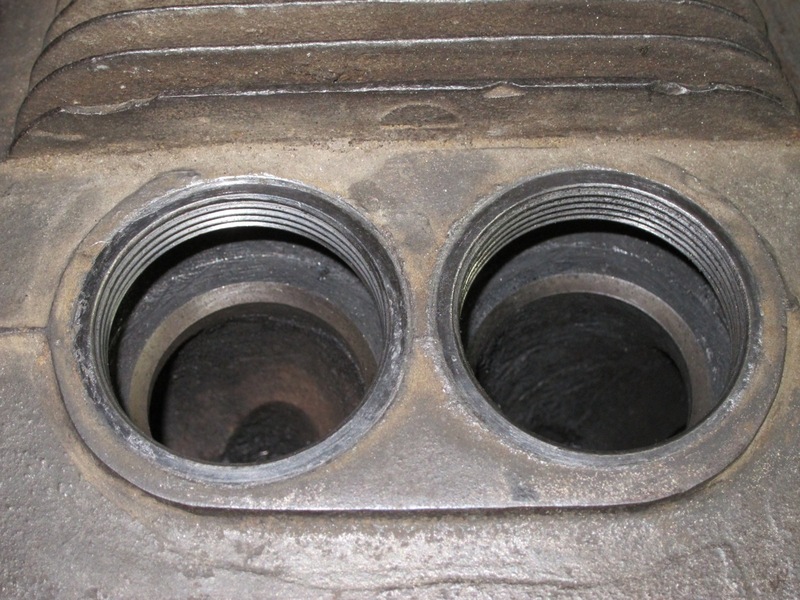 The valve seats in the head look like they have never been cut, only lapped in with paste. Their width is now around 4 mm. 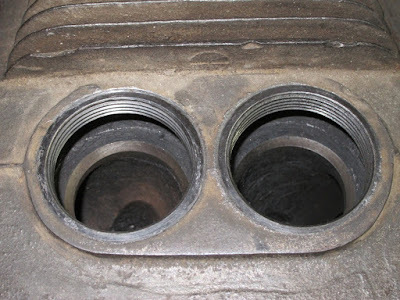 I will put in chrome-moly valve seats as I do not want the hassle of regularly grinding in valves with paste— just have not got the time and of course these will not be conspicuous from outside. I intend to retain the existing valve guides and to machine them out and hone to 3/8” throughout to accept modern chromed stem valves from Caterpillar and Mack trucks. I have no idea if these valve guides are original or they have been changed at some point in time. I have a feeling that they may be original. 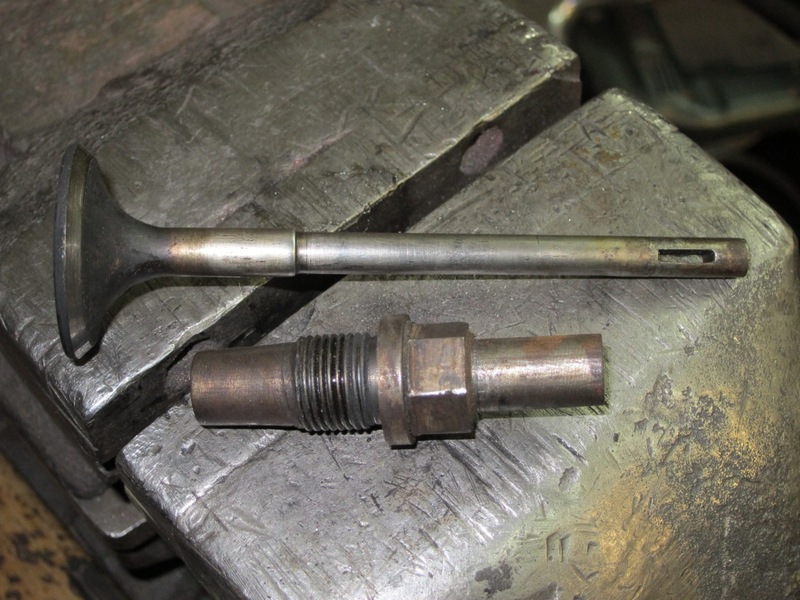 The truck valves are very tough and they should last another century." 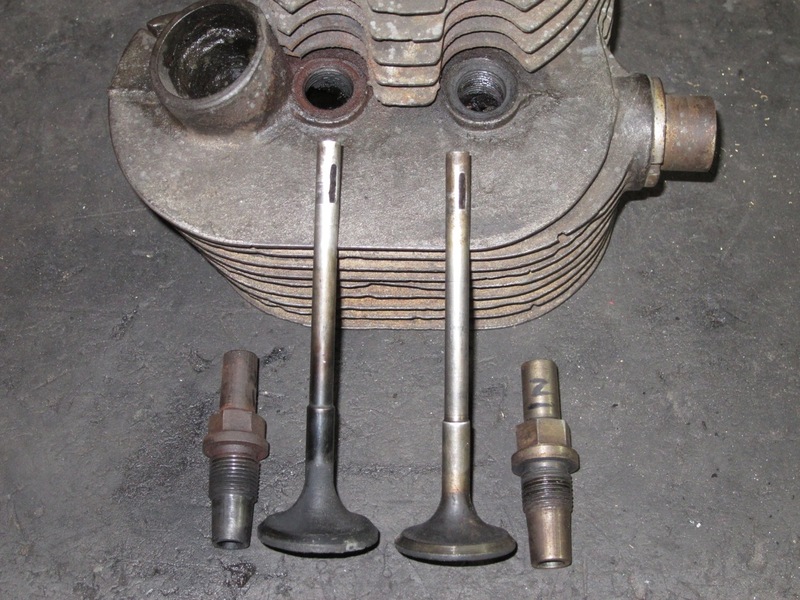 While the threaded valve guides looked original, the valves did not and Juris also mentioned that they appeared to have been made from larger valves with the slots hand filed. But … the threaded valve guides were not something I had come across in my limited exposure to earlier Norton design details. So Juris did some more checking and found the guides were in fact threaded the same as an 18mm sparking plug and better still, that they were the same as those on another WW1 Big Four rescued from Russia several years back (via Finland!). I am told that, at this period, Nortons used 5/16 stem valves and press-in valve guides, so perhaps the threaded guides were a nicety provided on the Military Models to aid service in the field. postscript - Andrew in Australia has dropped us an email about Veteran Norton valve guides, for which thanks. He writes: 'Both my 1910 cylinders and my 1911 cylinder have screw-in valve guides, and a 1908 one here has the same cylinder as the 1910 type so that would be the same! More info for the melting pot!